Police are searching for a vandal or vandals who damaged a car parked at a property in Fort Kent and later returned to cause further destruction to the car. 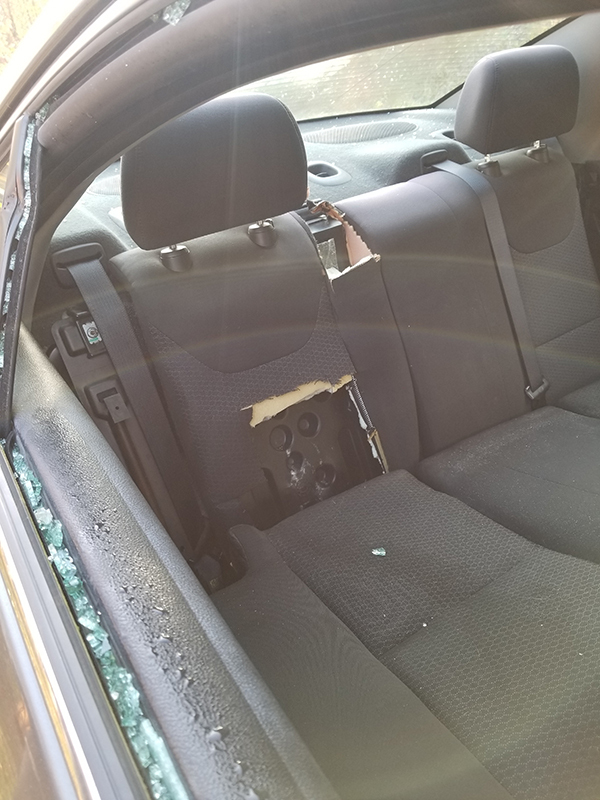 FORT KENT, Maine — Police are searching for a vandal or vandals who damaged a car parked at a property in Fort Kent and later returned to cause further destruction to the car. The car’s owner contacted police on Monday, Oct. 15, to report that someone vandalized the 2005 Pontiac G6 parked on the lawn of a lot at 104 Jacob Road. The perpetrator of the crime caused significant damage to the vehicle, tearing out portions of the seats and smashing windows. Someone also stole two tires and rims from the vehicle. The incident is believed to have occurred sometime between Oct. 12 and Oct. 15, according to Chief Tom Pelletier. 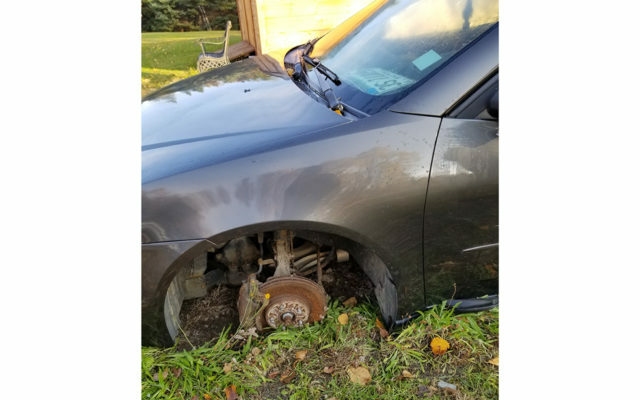 On Wednesday, Oct. 17, the homeowner called police again to report that someone had returned, damaged the car further and stolen another tire and rim from the vehicle. Anyone with information about these acts of vandalism should contact the Fort Kent Police Department at (207) 834-5678.